Robert Hadley Associates provides a valuable service both domestically and internationally by connecting our clients with legal support talent that can make an instant impact. Our diverse client base includes a wide variety of organizations ranging from immense global law firms to specialized boutique legal practices, from niche businesses to Fortune 500 companies, and everything in between. At Robert Hadley Associates, we understand the importance of each hire and provide our clients with strategic placements that meet specific skill sets.  Robert Hadley Associates offers recruiting support for both permanent and temporary positions. Please let us know how we can assist you on your next search. Our client a busy and growing personal injury law firm in NYC has immediate need for an experienced paralegal. Candidates should have at least 5+ years of personal injury litigation experience. Must be able to hit the ground running -- responsibilities include under the supervision of an attorney --drafting, preparing interrogatories, deposition preparation, trial preparation, handling settlement documents, and the ability to do E-filing. Familiarity with TrialWorks software is preferred. Bi-lingual Spanish is a big plus. Firm offers a very pleasant working environment and great benefits. • Experience drafting, depositions and preparation and E-filing exp. Candidates should email resume to lglorig@roberthadleyassociates.com with salary expectations and references.